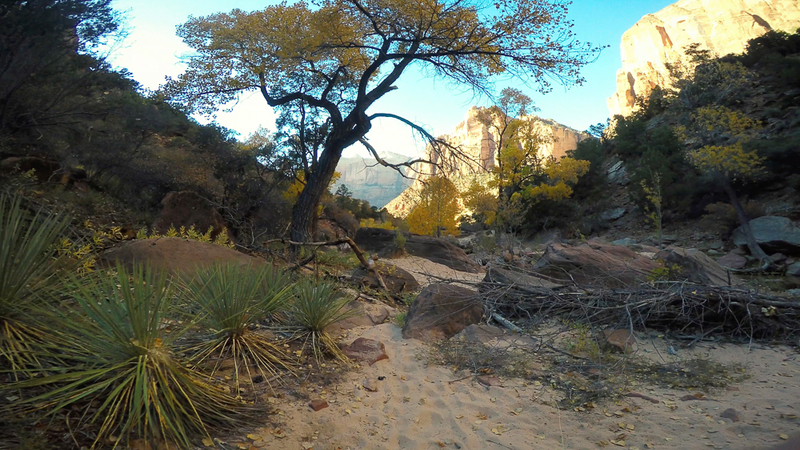 The day after we ran The Subway, we dropped into Pine Creek, another iconic Zion National Park canyon. We finished The Subway after the Visitor Center was closed, so we had to wait until the next morning to grab our Pine Creek permit. That was fine by us. We did not mind sleeping in a little to recover from the previous 10-mile day. Shivering slightly, we began the short downhill scramble to the first rappel. Walking to the first rappel. 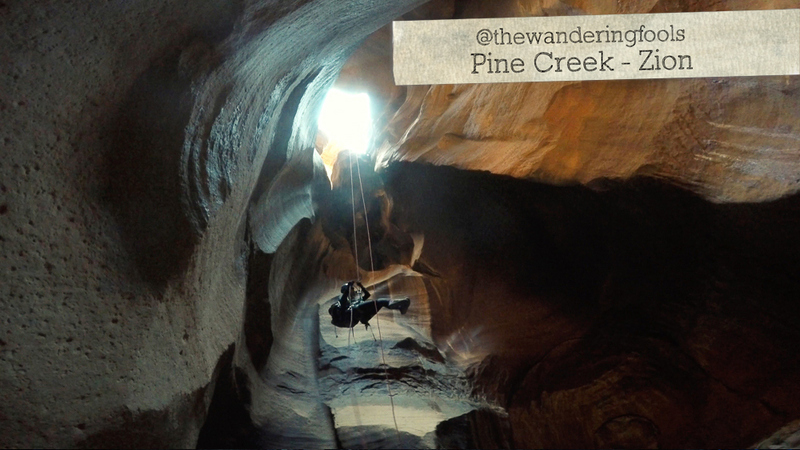 Pine Creek is a beautiful canyon with lots of narrow, high walls and pools of water. No other groups were in front or behind us, so we took plenty of time to admire the canyon. The 3rd rappel is called The Cathedral, and it’s one of the most beautiful rappels I have ever done. No pictures I captured on my GoPro do it justice. You can’t quite see what lies below the start of the rappel. Once you are safely hooked into the anchor and begin the descent, you’re quickly surrounded by soaring multi-colored walls. The small shafts of light from above bounce around as you rappel into a pool of water. It’s very dark and very cold, but the visuals are worth it. 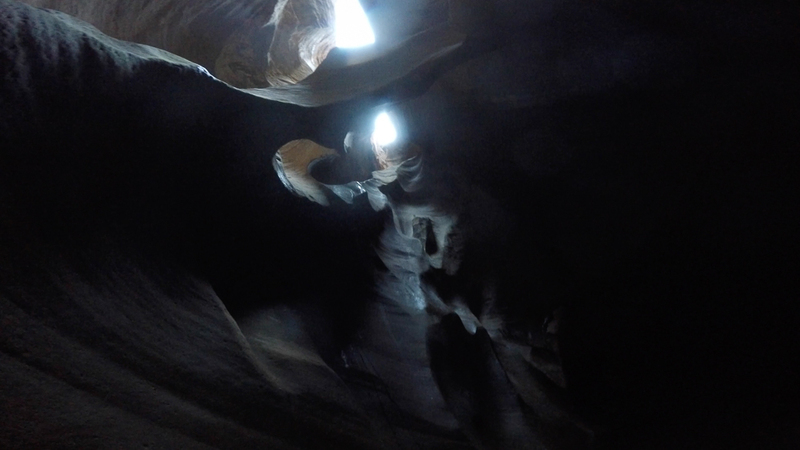 GoPro footage does not do the cathedral ceiling justice. Its really amazing to see in person. Working our way though the canyon. Ms. Fool rappeling on the second to last rappel. 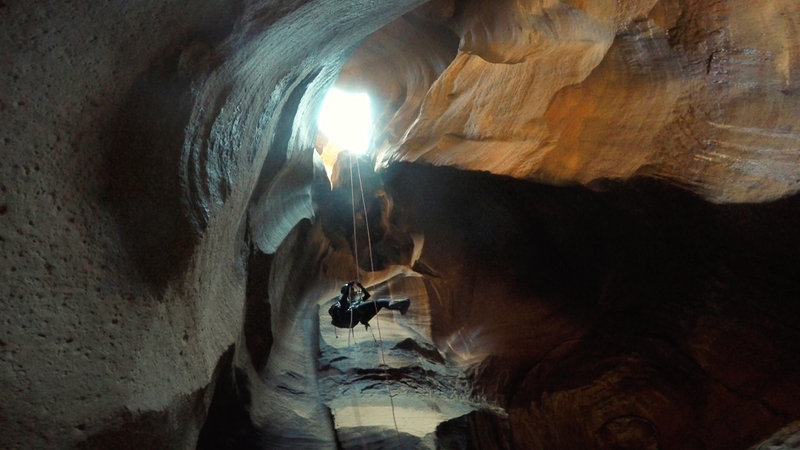 We decided to finish the canyon on an alternate (read non-standard) rappel. 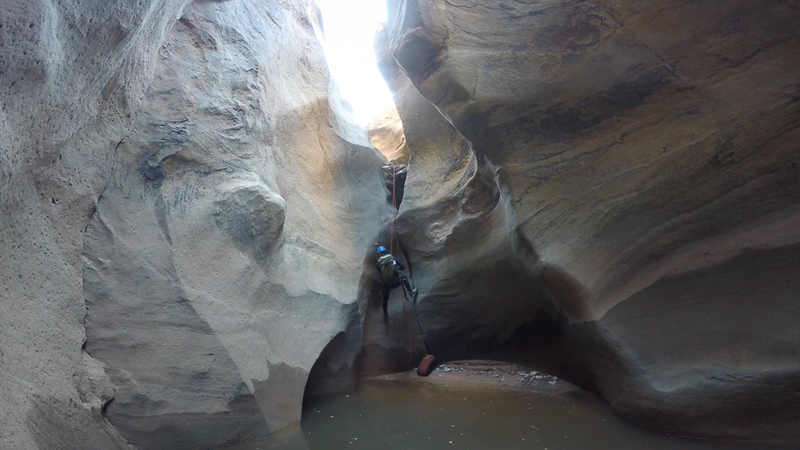 We dropped past more towering canyon walls into another pool. The beta recommended a down climb to finish the canyon, but after judging the drop, we set up a cairn anchor instead. 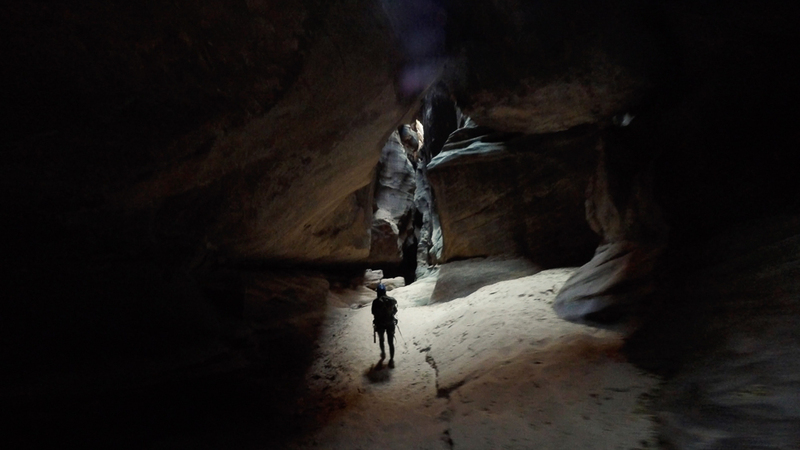 The alternate rappel that drops you inside a large open area. 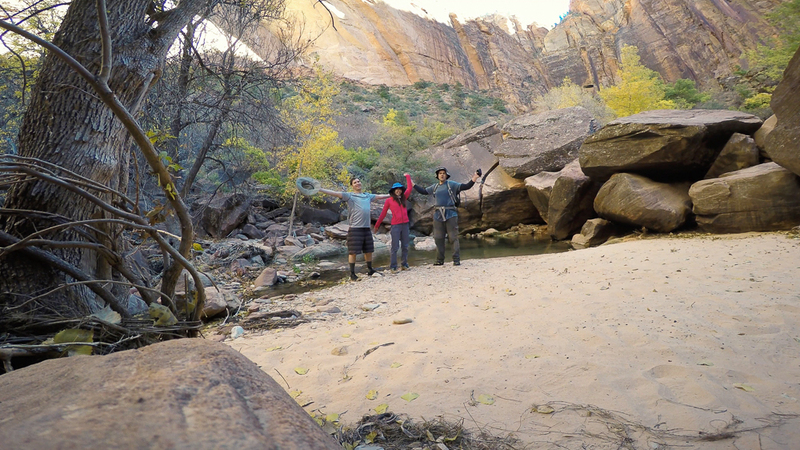 Once safely out of the canyon, we cleaned up in one of the large pools before entering the long boulder field that separated us from the road back to our car. The hike is very tricky: no real trails, lots of guessing, and seemingly endless scrambling up, down, and around boulders. There’s plenty of potential for a twisted ankle. When you’re physically and mentally exhausted, it’s best to take it slow, which we definitely did. We stopped beside a picturesque pool of water for a much-needed leisurely lunch break. Hiking out as the sun starts to set. You end at one of the many overlooks along the side of the main road, well below where you started. Walking back to your car isn’t practical. So I made myself as presentable as I could, and hitched a ride back to our car with some friendly sightseers. 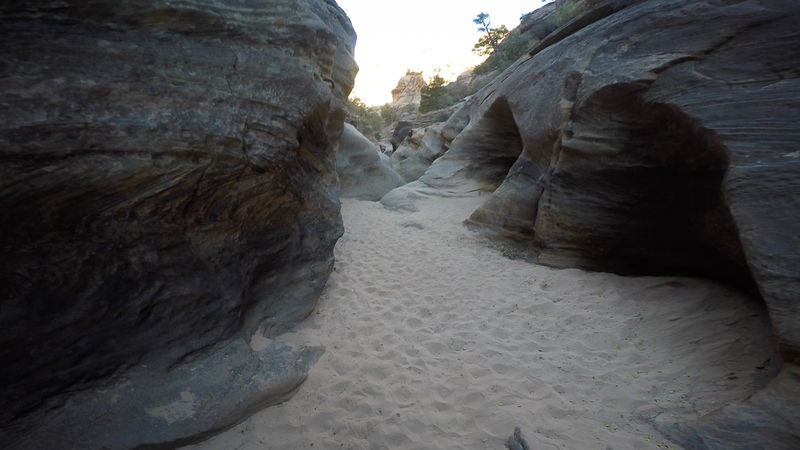 Pine Creek beta estimates canyoneers will spend 2-6 hours navigating the canyon. We spent a little over 7 hours, including the time it took to exit. 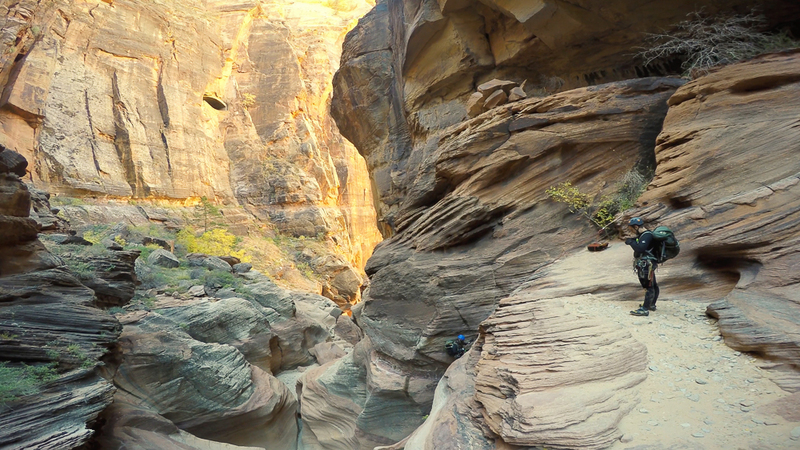 Pine Creek should be on any canyoneer’s bucket list. It is a beautiful canyon well worth seeing. Plan on spending some extra time admiring it as you work your way through.